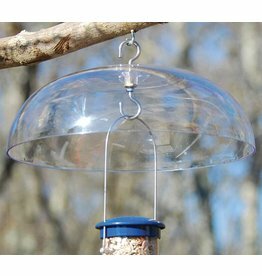 The 12" diameter Weather Dome by Aspects is molded of sturdy UV stabilized polycarbonate material. 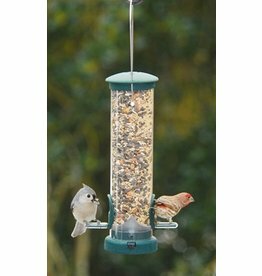 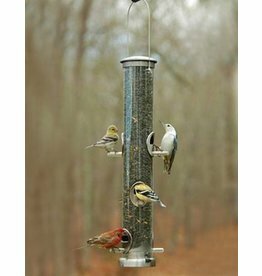 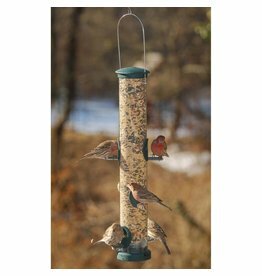 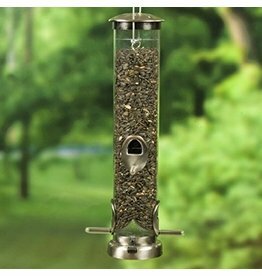 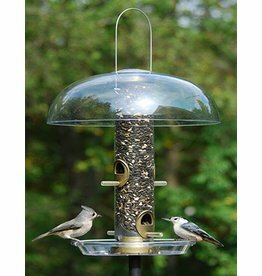 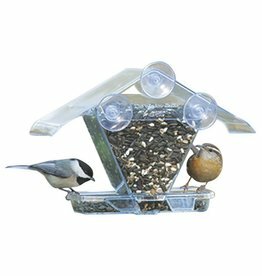 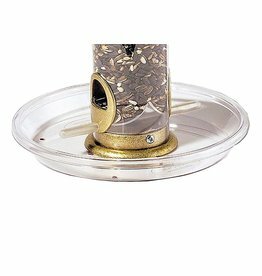 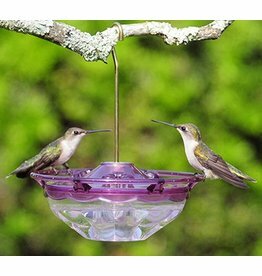 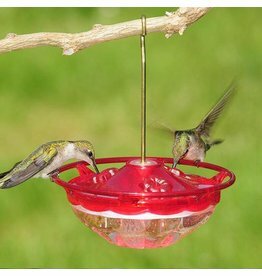 It is perfect to keep rain and snow off any small or medium sized feeder. 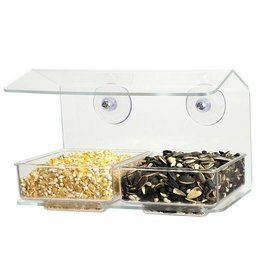 Easy to assemble too! 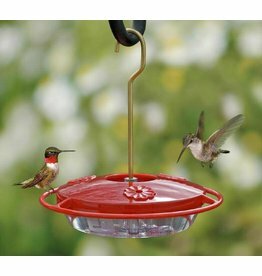 Backed with a lifetime guarantee.